Mary Meeker, partner at Kleiner Perkins Caufield & Byers (KPCB), a Silicon Valley venture capital firm, is renowned for her “state of the internet” annual presentation. She was one of the first analysts to recognise mobile advertising as the sector with the most potential for internet advertising growth. One of the regular slides in her basic, but extremely informative analysis, contains a comparison between the total average percentage of time spent on different media types in the USA, compared to the total average percentage of advertising dollars invested. Meeker indicates that, in relative terms, advertising spend in print media remains “over-indexed”. This means that even though people in the USA only spent 5% of their media time with print in 2013, the category still managed to generate 19% of all advertising investment. In other words, there exists a disconnect between time spent and advertising investment in relative percentage terms. 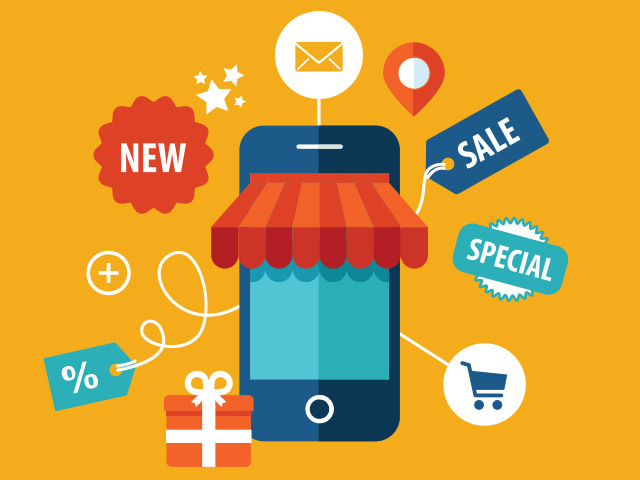 Meeker identifies mobile advertising spend as the category with most potential for growth. This she bases on the opposite disconnect that exists with print. People are spending much more of their media time with mobile, but the comparative advertising spend represents a lower percentage of investment. People are using 20% of available media time for mobile, while mobile advertising only attracts 4% of advertising spend. 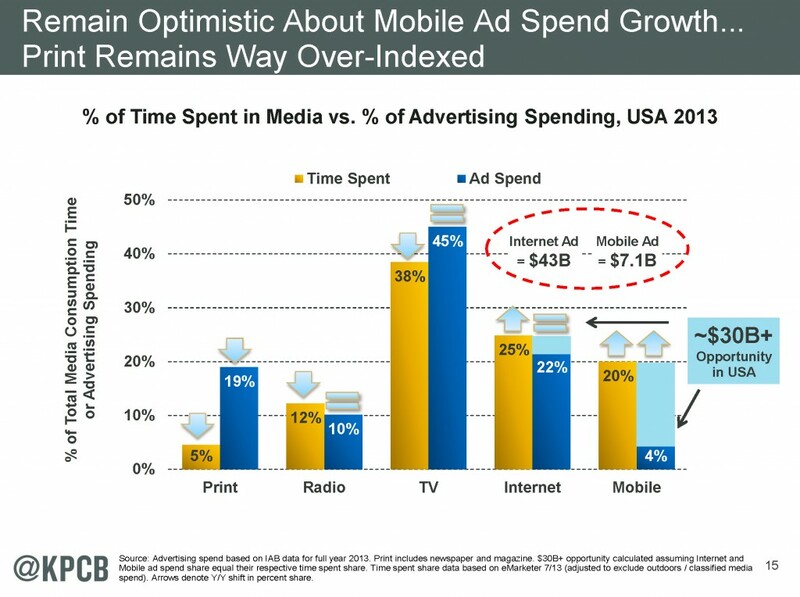 In total for internet and mobile advertising, Meeker believes, a $30b opportunity exists going forward. Hence her expectation that the big growth area in all of advertising media is in mobile advertising. Mobile is certainly on all media companies’ radar. In the recently released Naspers results for the financial year 2014, the company makes it clear that the mobile internet is where its focus is: “Our internet activities are rapidly transforming themselves into mobile-focused operations”.